When you buy food for your pets, you trust that what’s on the label will be in the package. But that’s not always the case, according to tests done at Chapman University in Orange, California. Researchers in Chapman’s Food Science Program bought commercial products for dogs and cats (both wet and dry food) and used DNA analysis to determine the types of meat they contained. Almost 40 percent of the products had a meat that was not listed on the label. Of the 52 samples, 31 were labeled correctly, 20 were potentially mislabeled and one had a meat ingredient that could not be identified. 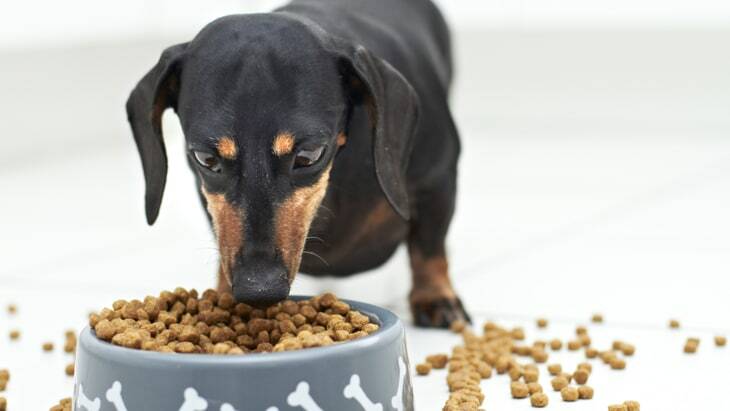 Assistant professor Rosalee Hellberg, co-author of the study, told TODAY that both dog and cat food samples were mislabeled, and that wet food was more likely than dry to have the problem. The researchers said it’s impossible to know if the mislabeling was accidental or intentional, and that there was no way to know where it took place — at the supplier level or at manufacturing plants. “It is a form of economic fraud,” Hellberg said, and when you consider that Americans are expected to spend more than $22 billion on pet food this year, according to the American Pet Products Association, the economic harm could be substantial. Hellberg told TODAY she was surprised by the high rate of mislabeling. The reason she decided to test pet-food products was to see if they contained any horse meat, which would be a concern to some people. None did. The Chapman report did not include a list of the products tested or those that were found to be potentially mislabeled. Hellberg told us the study was done to investigate the industry as a whole rather than single out any pet food brands. “We are hoping to raise awareness of the issue which would result in increased scrutiny to make sure pet foods really contain what they claim to contain,” she said. The Pet Food Institute (PFI), an industry trade group, told TODAY it’s still trying to learn more about the Chapman study. In an email, Kurt Gallagher, PFI’s director of communications, pointed out that the majority of products sampled were labeled properly. Back in 2012, ELISA Technologies tested 21 commercial dog food products are found 12 instances of mislabeling (two products had more than one labeling issue.) As reported in PetFoodIndustry.com, eight of the products had animal protein not listed on the ingredient label. Two labeled as gluten- or grain-free, tested positive for gluten. In the Chapman study, about a third of the samples (16 of the 52) had a meat ingredient not listed on the label — most often pork, which is a common food allergen for pets. “This does not shed a very good light on the pet food industry,” said Dr. Joseph Wakshlag, an associate professor of clinical nutrition at Cornell University’s College of Veterinary Medicine. Professor Wakshlag told TODAY that just a small amount of pig liver added to the product — and not disclosed on the label — would be more than enough to cause a problem for an allergic dog or cat. If you have a pet with a food allergy, talk to your vet to make sure you’re using a food that’s appropriate and safe. KNOXVILLE, Tenn. When you are adopting a pet, remember they will not stay a puppy or kitten forever. You are signing up for a 10-15 year commitment. As your pet grows older, they will need more attention and medical care. According to the American Veterinary Medical Association Pets are often considered “senior” at 7 years of age, but larger breeds with short lifespans are often consider senior at 5. The senior classification if given because veterinarians start seeing more age related issues in these pets including: heart, kidney or living disease, cancer, and arthritis. Senior pets make amazing companions and they will continue to give you unconditional love. So pay them back in kind by making sure they stay happy and healthy. Some of the positives to consider: once your pet has passed the “adolescent” stage, you no longer have to worry about them chewing up your shoes or furniture! Your pet is probably house trained by this time, so you can relax about the wear and tear on your carpets. And most important of all – your pet really knows you by now. He has bonded with you and you with him. He is content to be your companion and live happily ever after with you. Isn’t that why you got a pet in the first place? While it may be easy to detect the outward signs of aging, such as a graying muzzle it is important to member a pet’s organ system can also change with age undetected by their owners. To help keep your senior pet as healthy as possible and to live a long healthy life you will need regular visits to your veterinarian to monitor your pet’s health. Tell your veterinarian symptoms that you may notice at home, such as your pet avoiding jumping into his favorite chair or sudden changes in weight or appetite. It is a good idea to have a complete blood panel done as a patient reaches senior years. This will do two important things: It screens for hidden conditions and allows treatment to begin before they advance. And if the values are normal it gives your veterinarian a baseline to compare future lab work against to detect changes at an earlier stage. Your veterinarian will help you with a plan to keep your pet healthy and detect problems early on and the best preventive care schedule for you and your pet. Chester is a 7 year old male Terrier mix. Chester is a very kind and cuddly companion dog. He seems a little scared of bigger dogs and may not be ideal with cats. Chester is content to just sit next to you or in your lap. Do you have room in your heart and home for Chester? You won’t regret it.